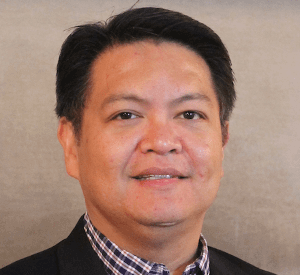 Nardo Manaloto is an out-of-the-box healthcare executive with 25 years of management and consulting experience in solving healthcare challenges utilizing innovation, user centered design, and enterprise architecture. A strategic thought leader in solution concepts, systems analysis, product architecture, hybrid value chains, and applied innovations to solve significant problems using current and leading edge technologies. Nardo’s expertise is in platform, ecosystem, and product full cycle development to solve challenging and complex systemic issues in healthcare. Nardo worked with technology startups including roles as Chief Product Officer, Chief Innovation Officer, and Chief Technology Officer with companies that utilizes artificial intelligence algorithms and capabilities. Nardo has won several healthcare innovation awards for solutions spanning the areas of artificial intelligence, secure messaging, communication and social collaboration, mobile applications, and virtual care. Artificial intelligence, intelligent virtual agents / avatars, machine learning, computer vision, emotion sensing, virtual / augmented reality, solution architecture, solution design, edge computing, internet of things, applied technologies, applied innovations, business architecture, healthcare product development, strategic solutions planning, systems analysis and design, rapid application prototyping, solution concepts, solution formation, solution execution, user experience, user interface, user centered design, experiential design, interaction design, business model innovation, hybrid value chains, social entrepreneurship, corporate innovation life cycle.